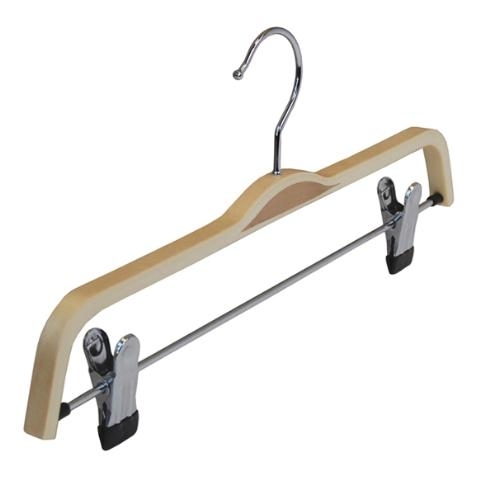 Laminated wooden adult trouser hangers in natural birch wood which makes them very strong. 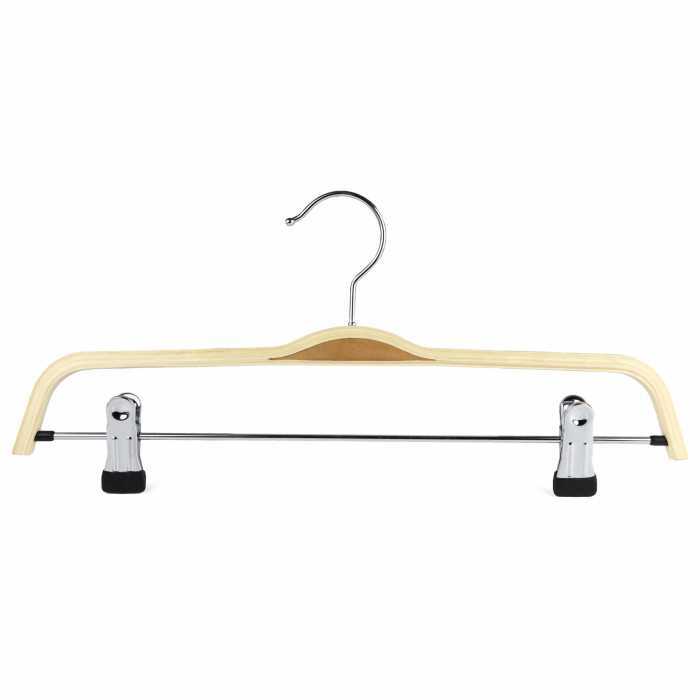 This hanger is 370mm wide and comes with a metal drop bar with adjustable metal clips. Sold as a box of 100 laminated trouser hangers. Perfect for the retail environment and sold to retailers throughout the UK and equally suited to the home. 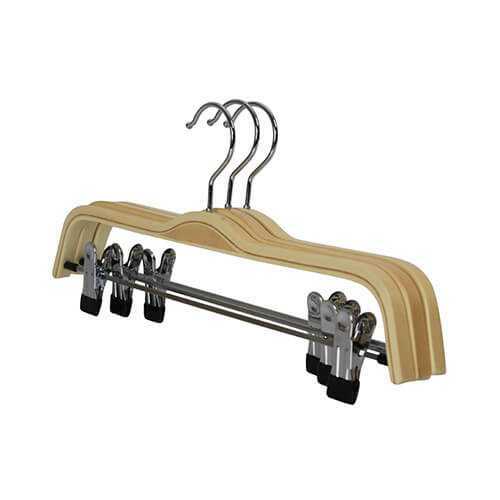 This modern, stylish and versatile trouser hanger will fit most purposes. 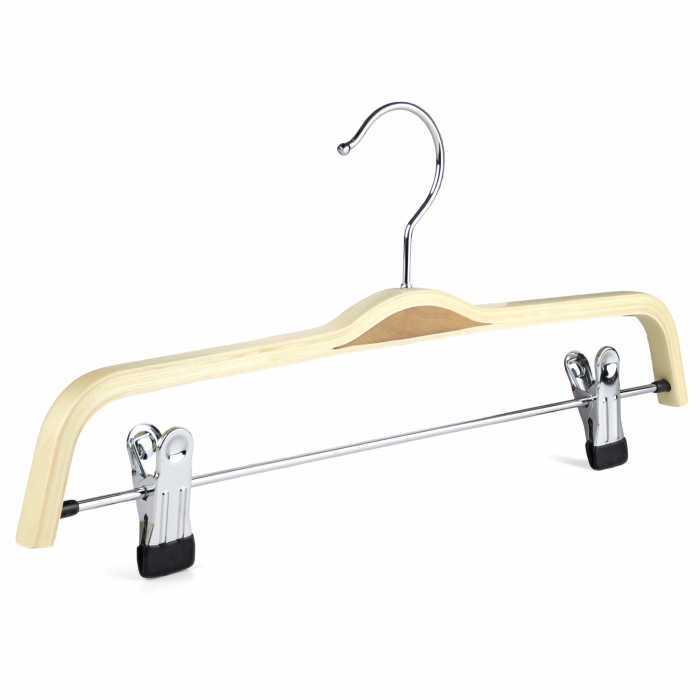 With chrome hooks and non slip rubber coating at the end of each clip to protect your garments.